Sundresses and tote bags...two of my favorite things to wear and carry for summer. Maybe because they both feel and look so effortless?! I've been admiring this absolutely lovely monogrammed leather tote by Gigi New York for some time now. And now I am wondering how I ever lived without it. I am currently hauling it everywhere with me, from the grocery store to the airport to dinner with friends and to the mall for all-day shopping excursions. If you have not yet heard of Gigi New York, you'll thank you for introducing you. I am in love with this collection of fine leather handbags, ranging from totes to clutches to wallets to tech accessories and journals to a men's collection. 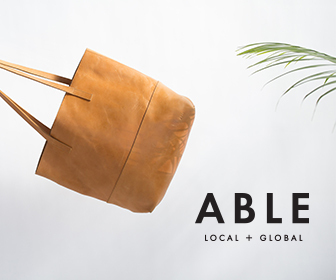 Want one of these gorgeous leather bags and/or accessories? Gigi New York is offering our readers 15% off any purchase made within the next two weeks with code "EDITBYLAUREN." Happy Shopping!